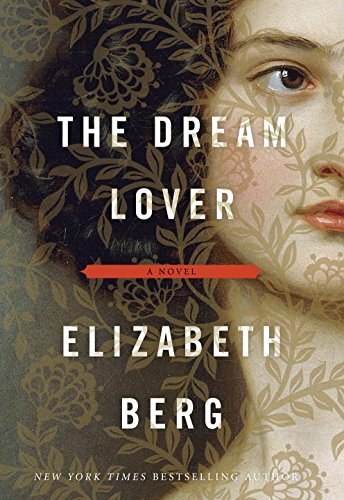 The Dream Lover by Elizabeth Berg is the story of George Sand’s life. For those not as familiar with George Sand here’s a brief biography on her. George Sand is but a pseudonym for Amantine-Lucille-Aurore Dupin. However, Aurore is better known by her pseudonym as much as she is near notorious for her love affairs with many artists, composers, and such. Most famously she is known for her affair with Frederic Chopin and Alfred du Musset. Such a woman that brought such inspiration and admiration by later writers would be expected to have an amazing biography and beautiful portrayal. Sadly, I cannot say that the Dream Lover is such a biography. Truth be told, I try as much as I can to complete books even when I don’t “feel” them, and I try to stray even more so from negative reviews. After all I think as a reviewer it is best to try to find the best in any piece of work, even if it is flawed. I found the Dream Lover far too slow paced. In some parts i even found it boring and yawn worthy. Eventually I resigned myself to giving up on the book all together. I have such a fondness for history and time pieces such as these that I had such a high hope that this would be a beautiful portrayal of that time. While Elizabeth Berg succeeds in her historical documentation of the numerous French Revolutions, I almost found George’s affairs near lackluster. While George did confess her passion and her adoration, and often times even love for her partners, I find as a reader I just couldn’t feel George’s emotions. As a reader I think we so often strive to feel as the characters feel, to live as the characters live, and to experience all that they endure whether the positive or the negative. In fact with George I felt somewhat, detached where I was more the bystander looking in briefly and then walking on by. I had no attachment to this book or the character of George Sand, which I would hope for considering she was the main character. I did find myself rather attached to her mother who possessed such a fire and passion in so many ways she comes out in color to me while the rest remain black and white. Nothing more then words on a page. On a lighter note I can say that Berg is skilled with description when it comes to setting. Her description of houses and gardens, and Paris are so beautiful and written with such lovely prose the reader can almost overlook the fact that George Sand was not given the same attention. I truly hope that if another chance is taken to write George’s story the writer takes the time to paint the woman in color within prose, instead of leaving her in the shadows of her lovers.